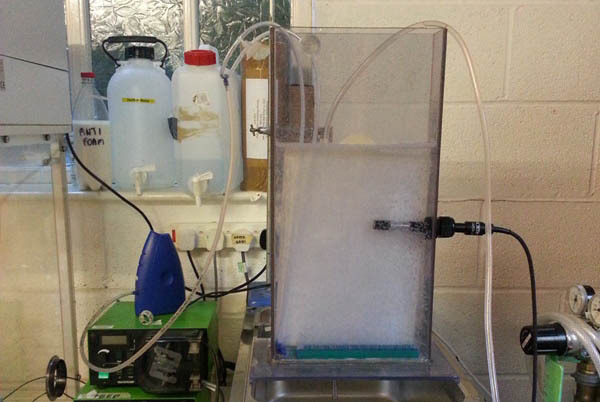 Both anaerobic and aerobic treatability studies can be undertaken in the Wastewater Management Laboratory. Accurate assessment of biogas (methane) production, BOD, volatile fatty acids and solids reduction together with initial residence times and reactor volume can be estimated. These parameters can be assessed using either flask digestibility trials or using our own 18 litre bench top digester that can be configured to meet our client's requirements. Whether for the design of a new effluent plant or the introduction of a new process into an existing waste stream, performing laboratory aerobic treatability studies can provide critical information with respect to COD and BOD removal, nitrification rates and plant loading. Assessing the impact of new waste streams on the biomass will also provide information regarding settle-ability and permit microbial assessment to be undertaken, thus pre-empting problems such as pin point floc formation, filamentous bacteria blooms and toxic inhibition. 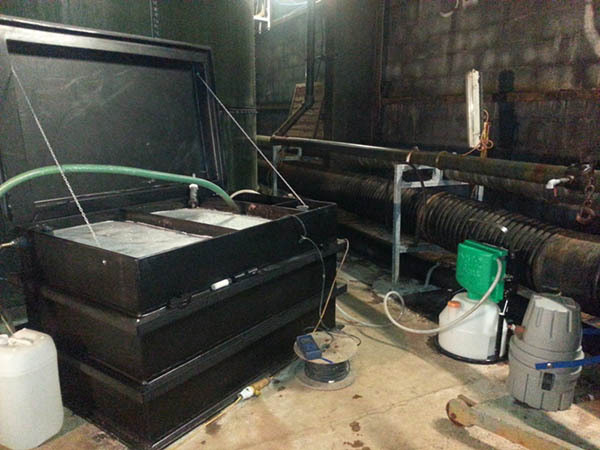 With respect to new industrial waste streams Wastewater Management Ltd. can supply a bench top or on-site pilot plants for Membrane Bioreactors (MBR), sequencing batch reactors and Submerged Aerated Filter (SAF) technologies.